Alternative deck railing materials include anything that is not 100 percent wood. 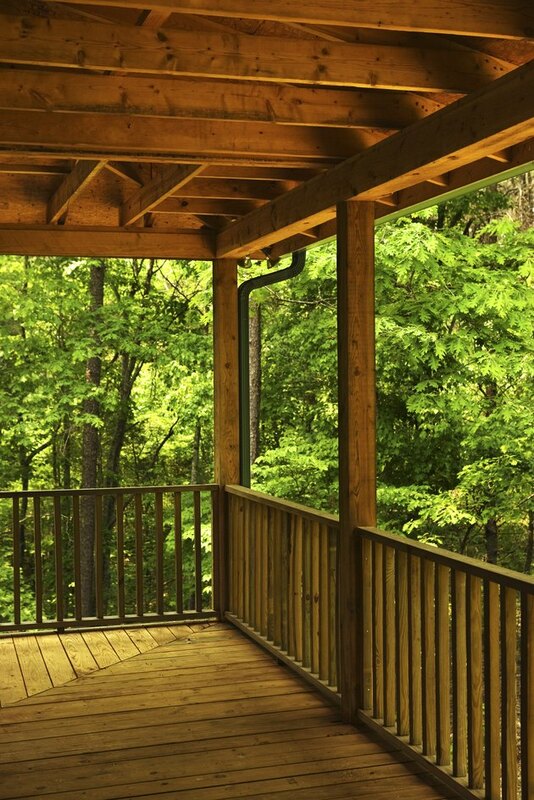 Homeowners use inexpensive alternatives for deck railings to save money and to help the environment. Cutting back on the amount and types of wood used for home improvements and additions saves valuable natural resources. Compressed wood fibers and plastic make up composite wood timber deck railing material. This alternative deck railing material has the appearance of real wood and does not require painting or staining. The material is mold, mildew and weather-resistant, which makes it low-maintenance. 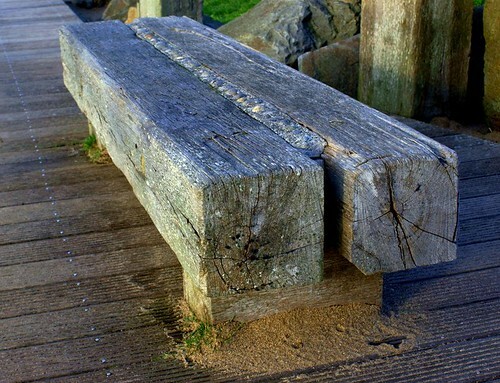 Composite wood timbers are available in a variety of colors to match existing or new decks. According to Costhelper.com, this type of deck material costs about $20 per square foot with professional installation. In the long run, plastic deck railing results in cost efficiency in comparison to wood decking material or composite deck railing. Plastic lumber is known as plasboard. The sizing follows the traditional American Lumber standards. Initially, the cost for plastic decking material is higher than the other alternatives. According to Costhelper, expect to pay between 20 to 30 percent more for plasboard deck railing material than other wood options. Recycled plastic bottles and milk jugs comprise most of the material in plasboard. The market for this type of decking material is relatively low and prices are steeper. You help the environment and decrease deck railing maintenance using plasboard. Plasboard is an inexpensive alternative for deck railings because of the long-term savings. There are lower replacement costs. There are significantly lower maintenance and routine cleaning costs using plasboard for deck railings. Medium density fiberboard is an inexpensive and eco-friendly alternative deck railing material. According to the RIC Goodwood Project, MDF woods save rainforests. Plantations provide the raw medium density wood, instead of rainforests. Gluing of wood fibers creates the MDF woods. The quality timber is relatively inexpensive. Covering MDF with a wood veneer removes the coarse and grainy appearance. Lisha Smith writes for several blogs and has freelanced for six years. She has a Bachelor of Arts from UNC-Greensboro in psychology. Smith has self-published several books. Her areas of experience include gardening, cooking, home improvement, pets and mental health.